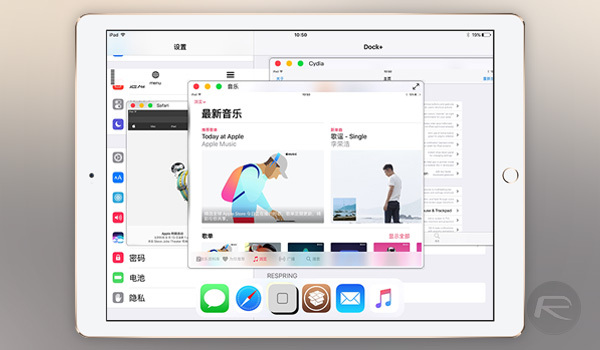 When Apple releases iOS 11 to the public next week, it will bring with it one of the biggest changes to the way Apple’s iPad that we have seen in a good while, and it will go some way to improving the tablet’s ability to finally fully replace a notebook computer for more people. That will be thanks to changes in multitasking and how multiple apps run side-by-side, but while all of this is great, those who are jailbroken will simply have to sit this one out. With no jailbreak yet available for iOS 11, it is an update that simply cannot be done for those who enjoy tweaking their devices. That doesn’t mean they are completely out in the cold though, because Dock+ for iPad brings iOS 11-like features to jailbroken iPads running iOS 10, today. Available to download from the Cydia store, via the BigBoss repository and costing $2.19, Dock+ has a couple of strings to its bow. Kicking things off is the ability to swipe to invoke Dock+, launching a floating dock that will have your apps in it for easy access even when already inside an app. Where things get really interesting is the tweak’s ability to launch apps in a window. Windowed apps on iOS is something that we have longed for, and while Apple does bring it to 2017 iPad Pros in some form with iOS 11, it’s still not same experience as the ones on desktop. With Dock+ installed, tapping and holding on an icon within the Dock will see it launch in a window, and it’s a little bit like magic. 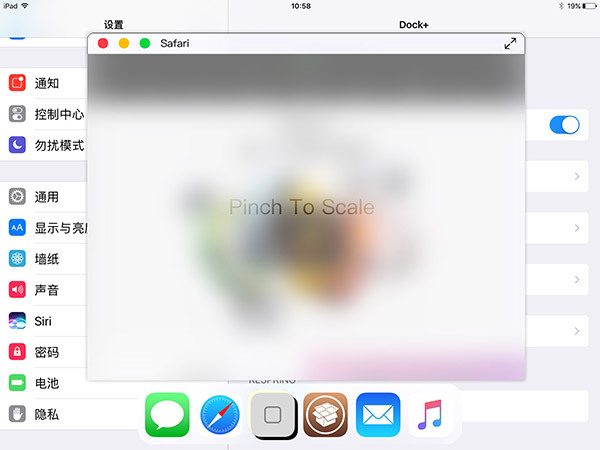 From here, the app’s window can be closed, or it can be scaled using a pinch gesture. It can be forced into full-screen too, simply by tapping a button, but where is the fun in that? Dock+ will require Activator to be installed in order for its invocation gestures to work, but you already have that installed anyway, don’t you? The tweak can be downloaded right now, and we don’t think you will regret it.